Snow in the middle of April? Yes. 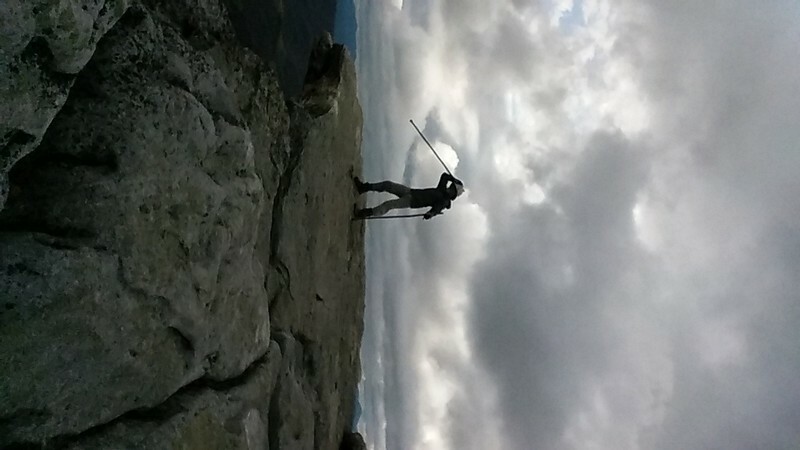 And those who started the Appalachian Trail in January and February are more than ready for some warm winds of spring. The higher temperatures are on their way, but not this week. My admiration for this brave group of hikers grows with each day of their determination and perseverance. I began following 14 hikers. Now, I am down to nine, as five individuals have decided to change their plans and get off the trail. 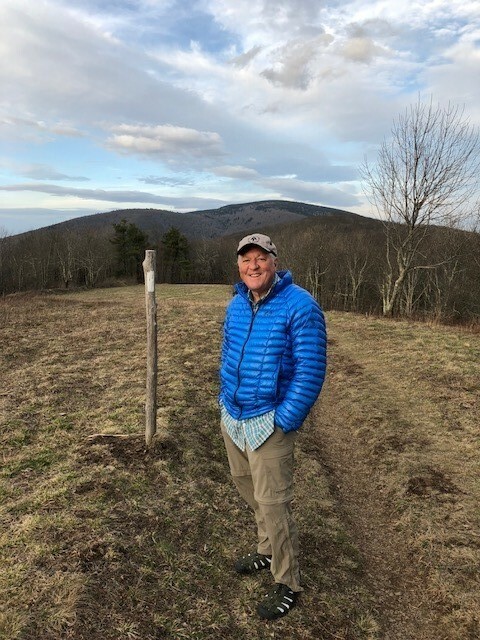 Let me give you a quick update on those hiking this historic long trail. 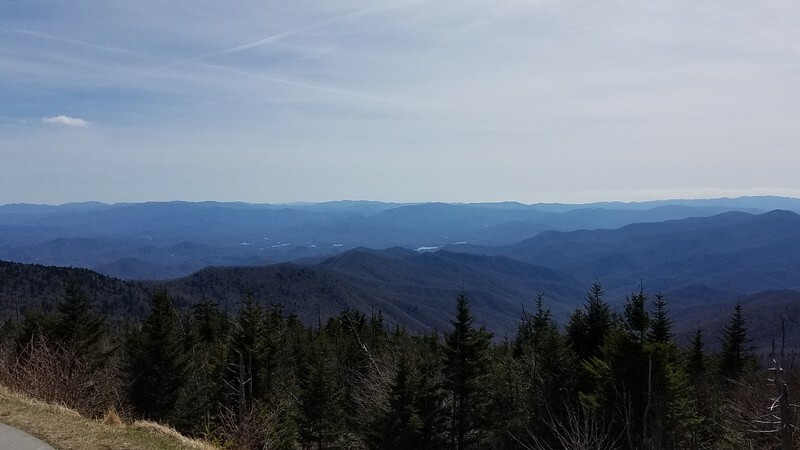 Pigweed, who got off trail for 15 days with an injury, is back on the trail and has just completed the Great Smoky Mountains National Park. 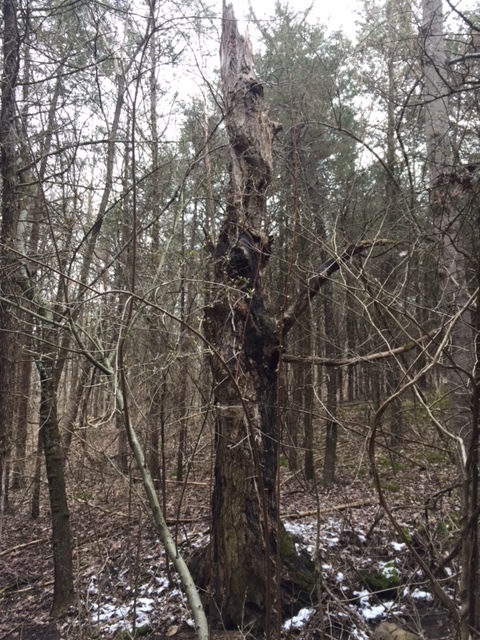 He hiked about 4 miles on April 17 and is resting at the iconic Standing Bear Farm (mile-marker 241) just outside the GSMNP. On hiking days since his return, he is averaging 9.5 miles. 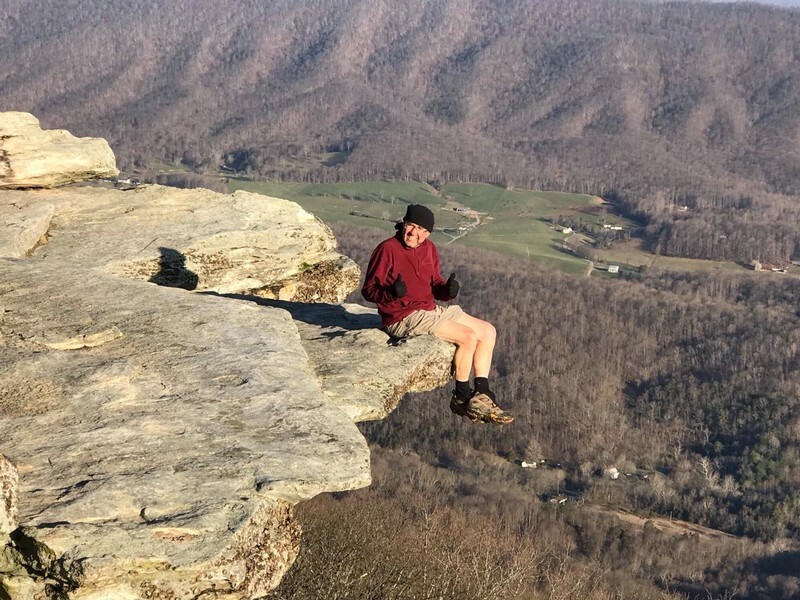 He will really need to pick up his pace to complete his thru-hike. 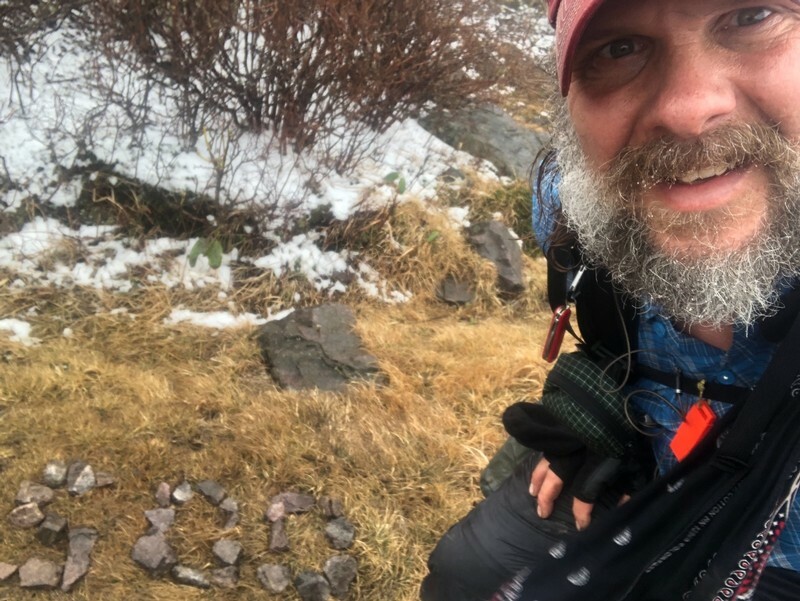 He still has time, but at this rate, the remaining 1,950 miles will take him six and a half months of hiking. 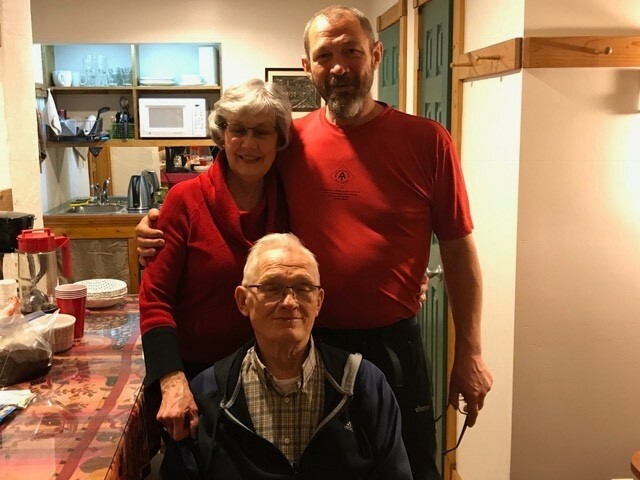 Chip (Tillson) took two days to visit family in Boone, NC (on April 15& 16). 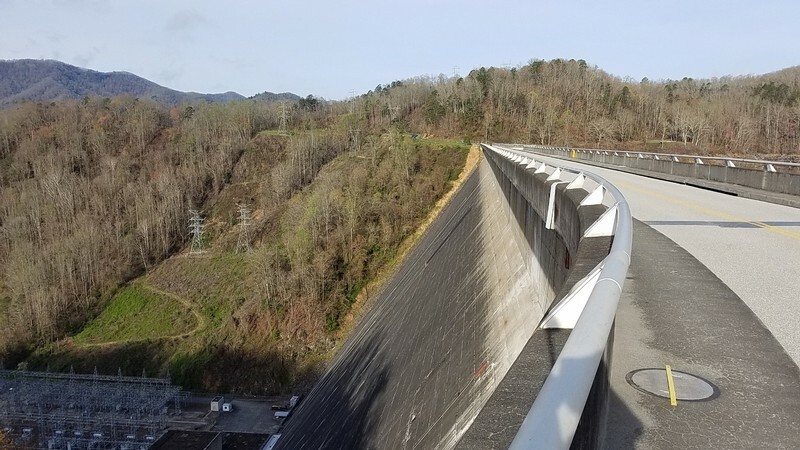 On the 17th he hiked passed the Watauga Lake area. 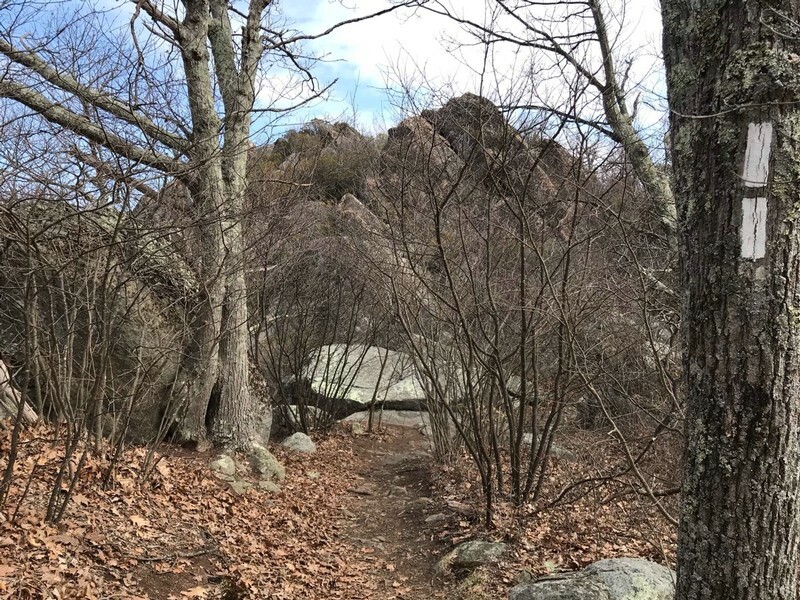 Part of the trail is closed to day-hikers because of increased bear activity so he trekked well beyond the danger area and is stealth camping north of the Lake (about 431 miles along the AT). 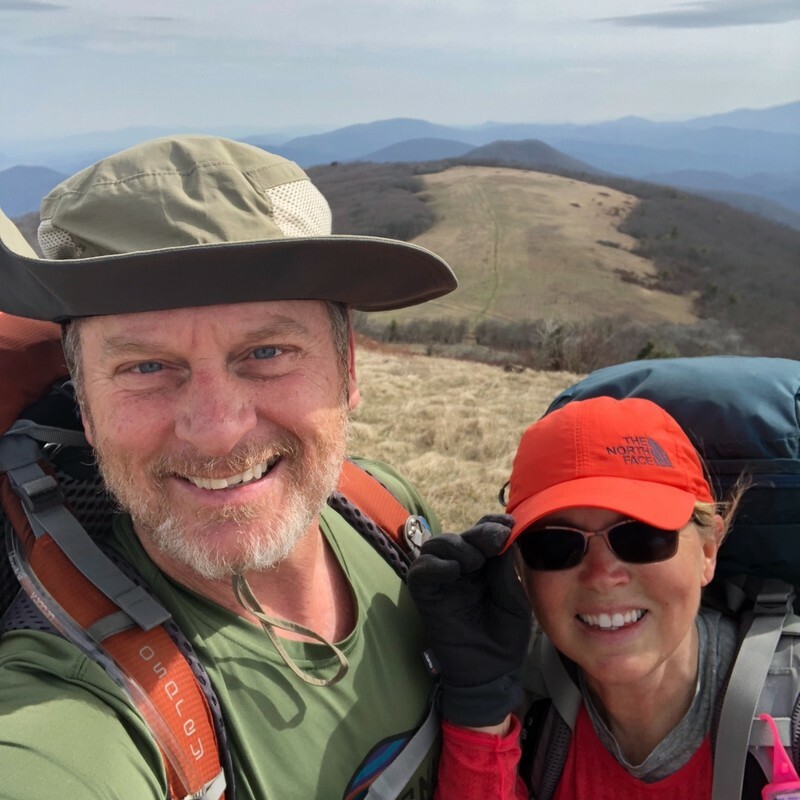 Which Way and Next Step (the only couple on my radar) are camped at Abingdon Gap Shelter, the last shelter in Tennessee and about 11 miles from Damascus, Virginia. They have not taken a zero-day since Erwin, Tennessee nine days ago, so I anticipate them taking some rest time in Damascus. 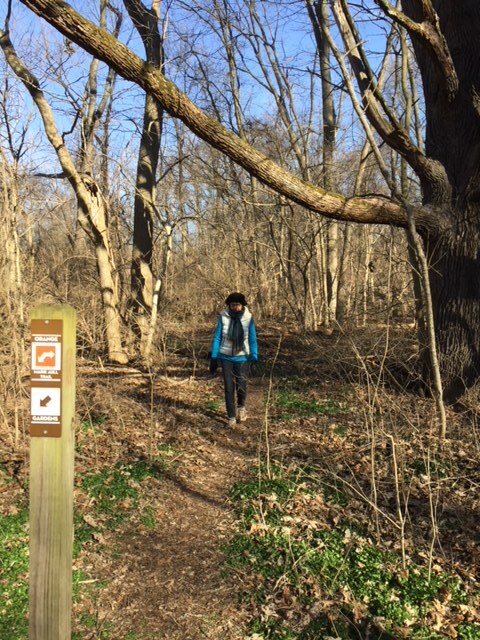 Over the past nine days, they averaged 12.8 miles per day with two longer hikes of 16 miles during the last two (April 16 &17). 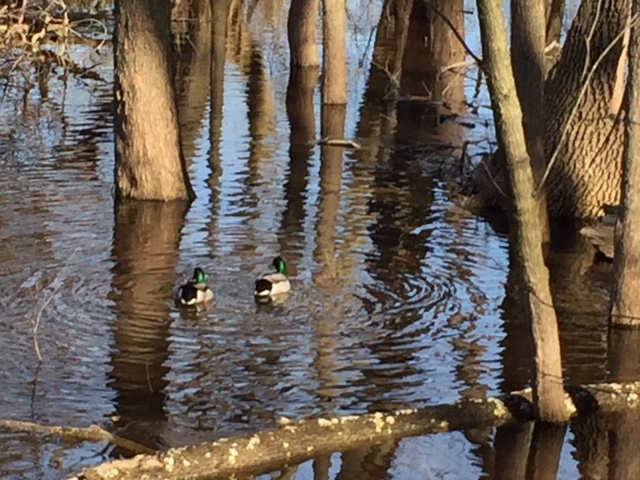 RTK posts his blog a week late, so my most recent update is from April 10. 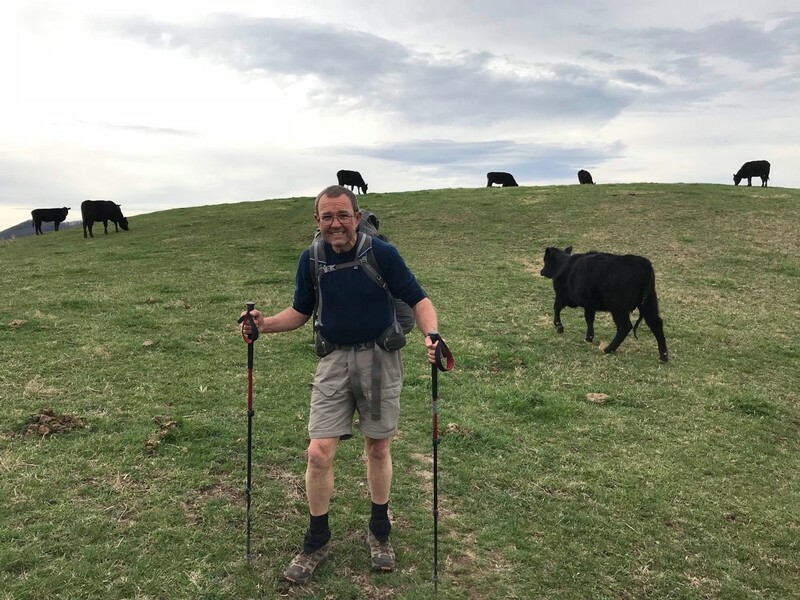 He is maintaining a strong pace and has crossed the 500-mile line having climbed Mount Rodgers and hiked through Grayson Highlands. He stayed at Wise Shelter in Virginia on the 10th. This shelter is memorable to me, although I did not sleep there. After my wonderful hike through Grayson, the weather began to rain. About a dozen of us took refuge at Wise Shelter to wait out the downpour. 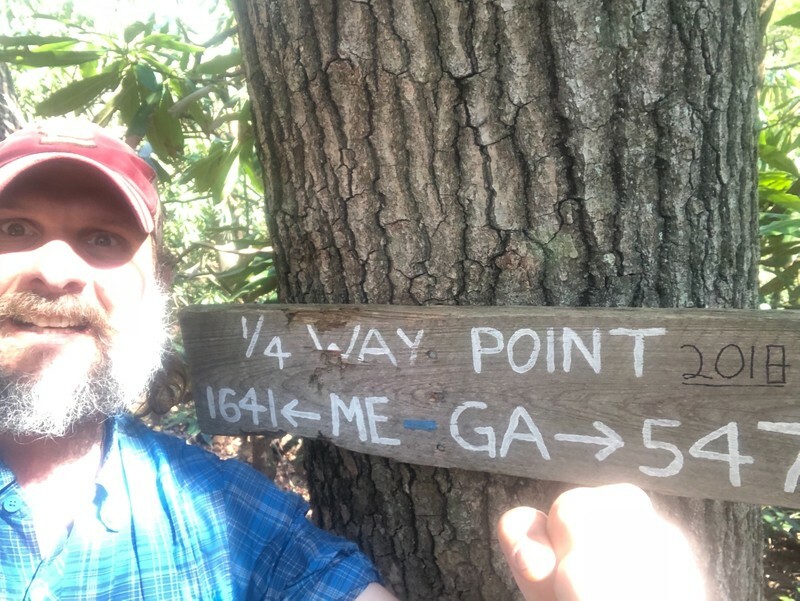 Vagabond Jack continues to make slow progress along the AT. His last zero-day was in Damascus on April 10th. In the week following this rest stop, Vagabond is averaging 10.3 per day. 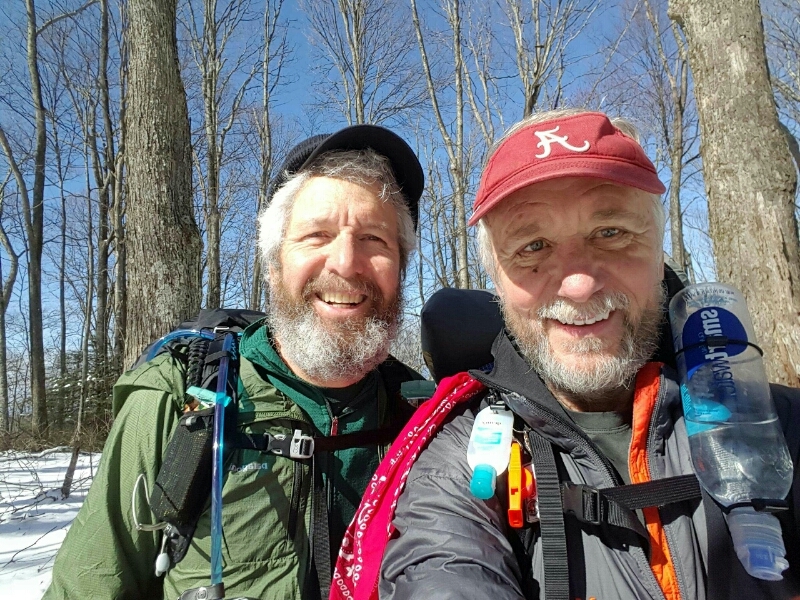 He and a hiking buddy, Curb, spent the night on the 17th at Lindamood School around the 540-mile marker. 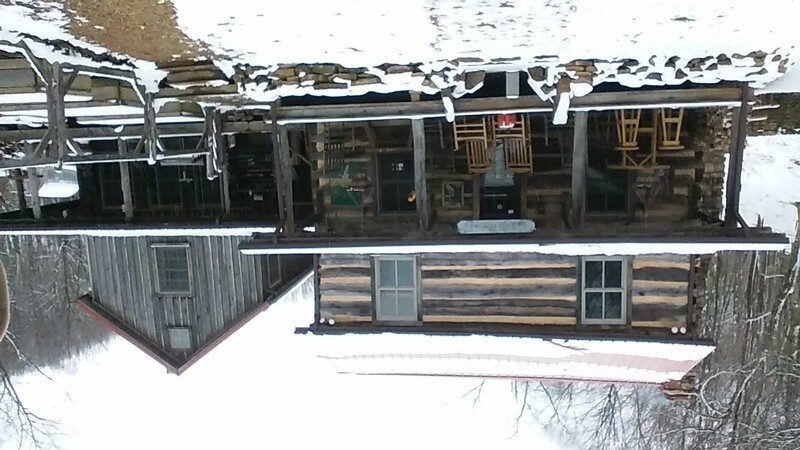 Lindamood School is an 1894 one-room schoolhouse located at Settler’s Museum, a 67-acre open-air museum. 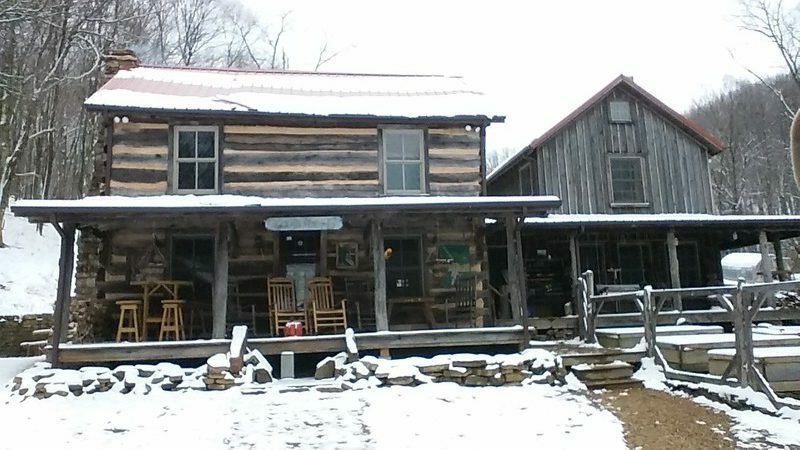 The school is open to the public and a spot that often provides trail magic. 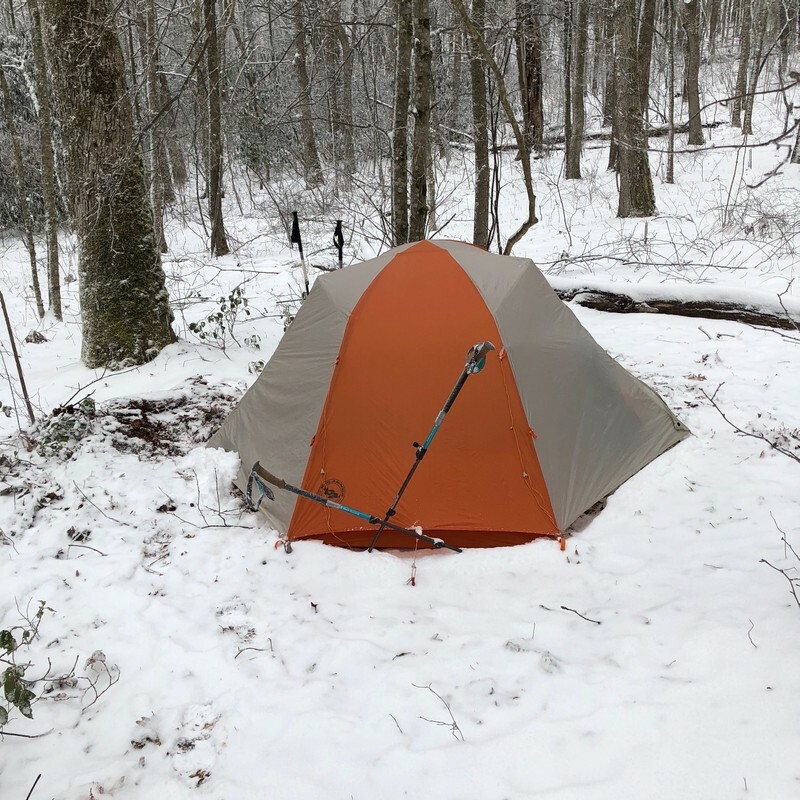 It is not designed to be a trail shelter for thru-hikers, but some seek its warmth for the night. Sour Kraut’s last photo shows him standing next to a trail sign indicating ¼ of the way to Maine and NOBO mile 547. He posted the photo on April 14th. 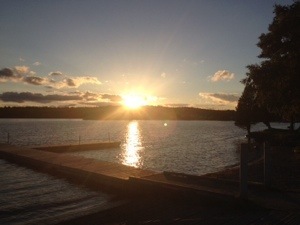 He has not posted a written update since March 12, so I am tracking him via his photographs. 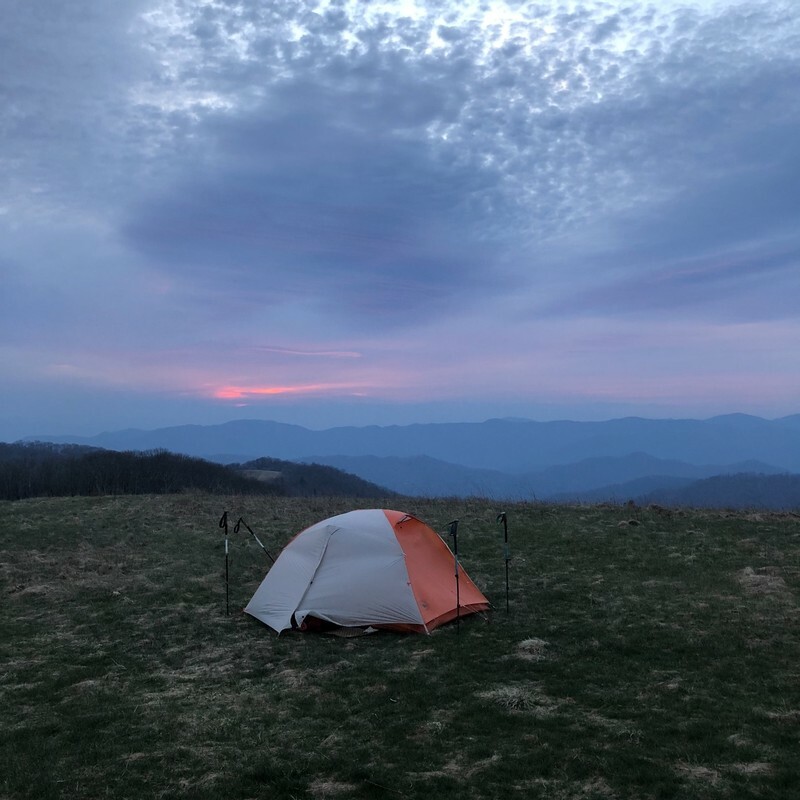 Bamadog is camped about 651 miles along the Appalachian Trail. He camps regularly at stealth sites which makes it difficult to update his progress. 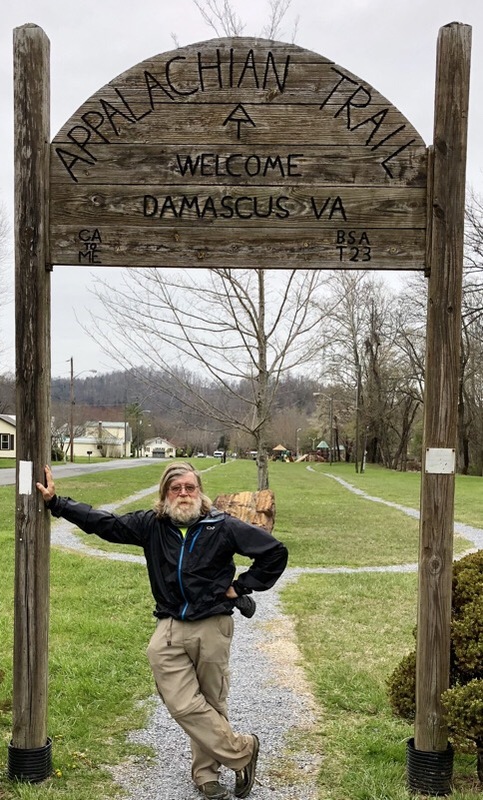 I know he stayed at Woods Hole Hostel (mile 620.9) on April 15th, then in the next two days, he passed through Pearisburg, VA (631.3), took a photo of Rice Field (638.1), and is camping close to Stony Creek (651.0). 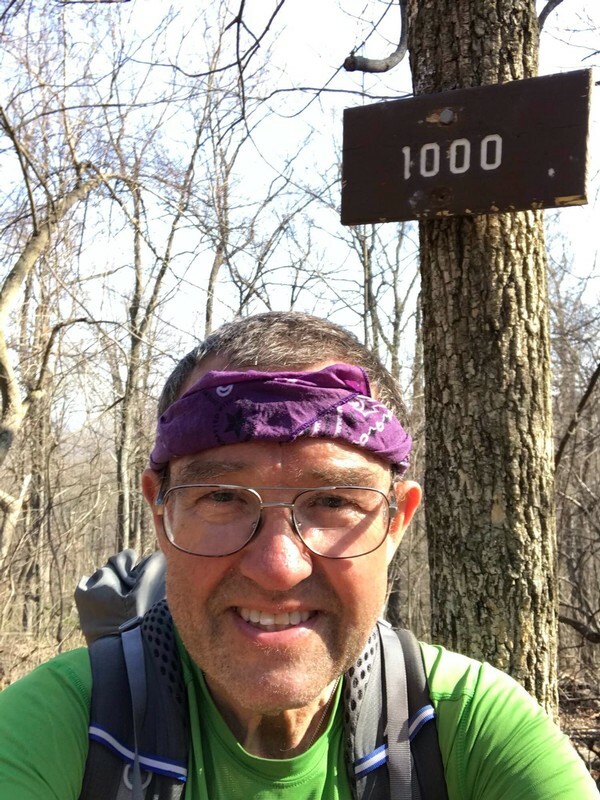 Opa has hiked over 1000 miles on the AT. 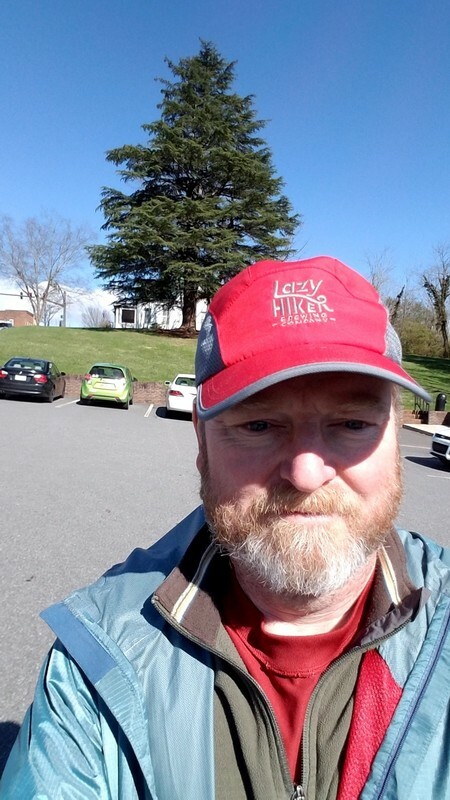 He stopped in Harpers Ferry to sign in as NOBO hiker #16 to have checked in at the AT Conservancy (I was hiker #924 when I hiked in 2014, just to give you an idea of how early he has arrived). 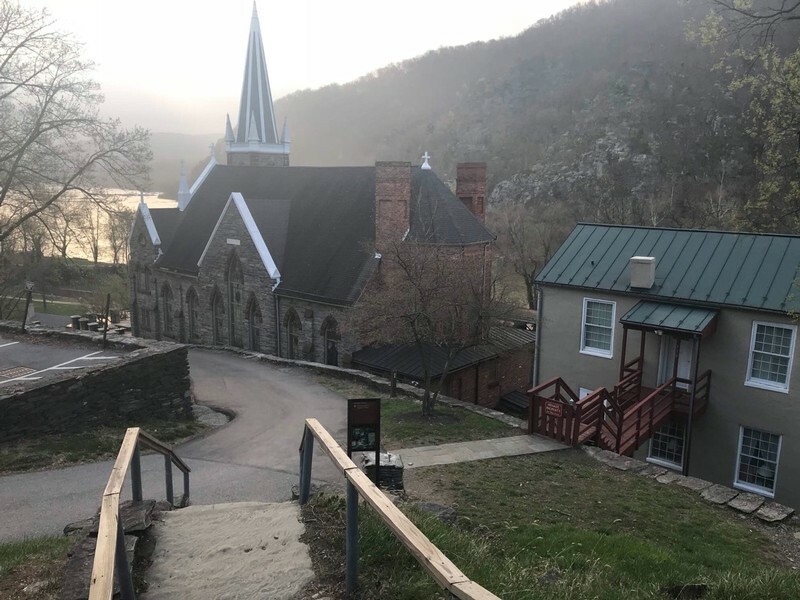 He has continued on into Maryland and on April 17 he was camped at Raven Rock Shelter, about five miles from the Pennsylvania border. Here is an updated chart of the hiker’s progress. As the weather improves, so will their miles. 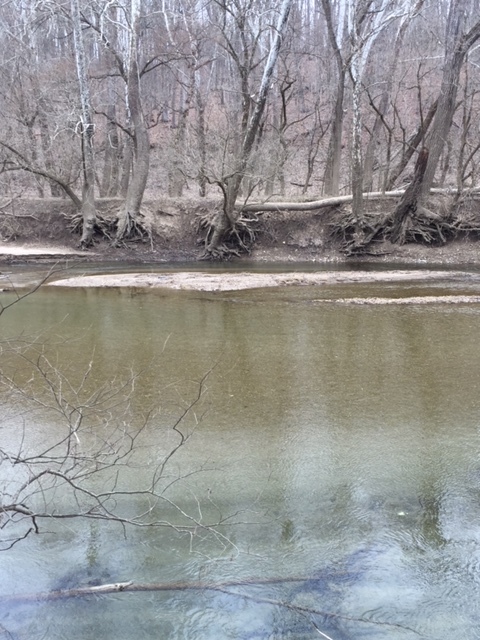 On our quest to hike all the trails on the 19 Metroparks in the Dayton Area, Rocky and I set out on a super Friday in March (16th) to complete the two “W”s – Wegerzyn Gardens MetroPark and Wesleyan MetroPark. Wegerzyn is about 30 minutes from our home and then another 10-minute drive would connect us to Wesleyan. Both parks had short unmarked hiking trails, but we were not sure how long they were. Arriving at Wegerzyn was a blast from the past as Rocky and I lived in this area of the city before moving to Springboro about 12 years ago. The park is beautiful and, as the name implies, it is a series of gardens: there is a children’s garden, an arbor garden, a federal garden, an English garden, a Victoria garden and a woodland garden. 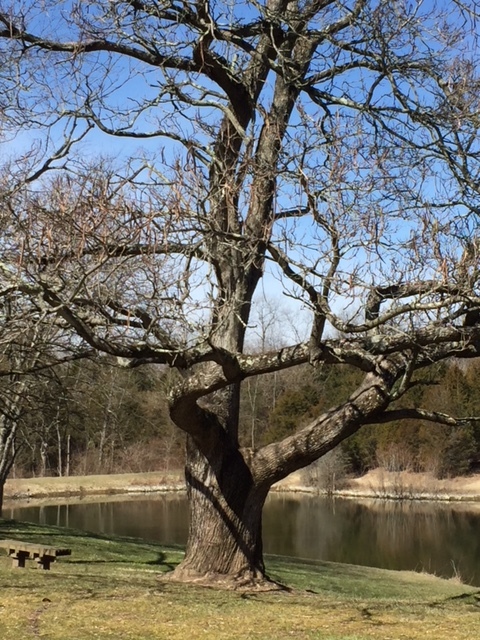 Because of the time of year (March 16) and the extended cold weather, the beauty of the gardens had not yet turned majestic, but we promised ourselves a return visit (with our twin granddaughters) in a few months. 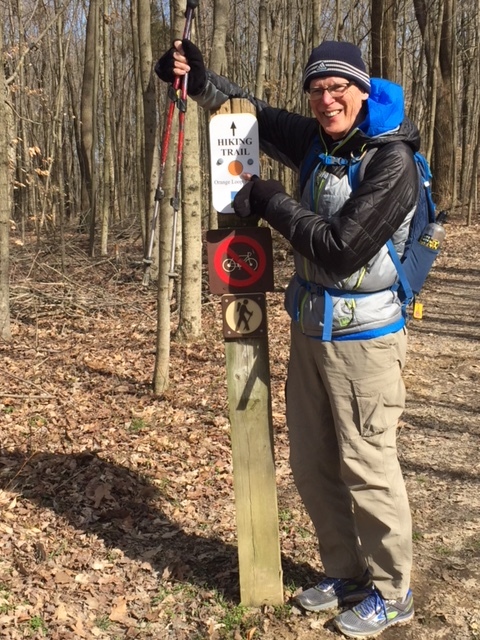 Our hike was the Marie Aull trail, a loop around the eastern boundary of the park. It was beautiful and I took more pictures here than most trails because of the striking surroundings. The loop was quite short (maybe a mile or so) and the park was so peaceful and quiet. Our car was patiently waiting for us when we returned, so we hopped in the vehicle and made our way to Wesleyan. 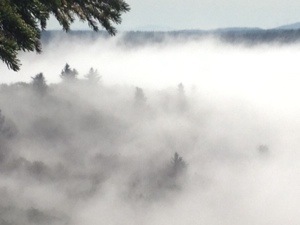 Rocky and I had hiked here last year and got twisted around trying to find the trails. We were a little concerned about the navigation of this park. We parked on Wesleyan Road and found the pavilion on the east side of the area. We carefully followed the map down to the Wesleyan Annex and easily found the trail. 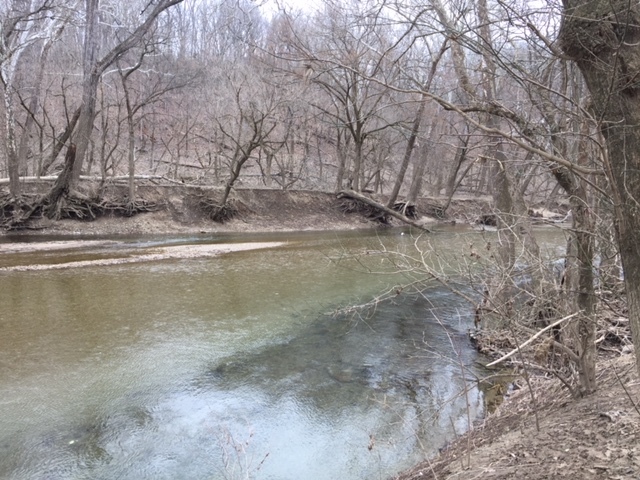 It was another short trail that led up through the woods and opened on top of a small hill overlooking Wolf Creek. We walked down to the creek and enjoyed looking for birds around the water. 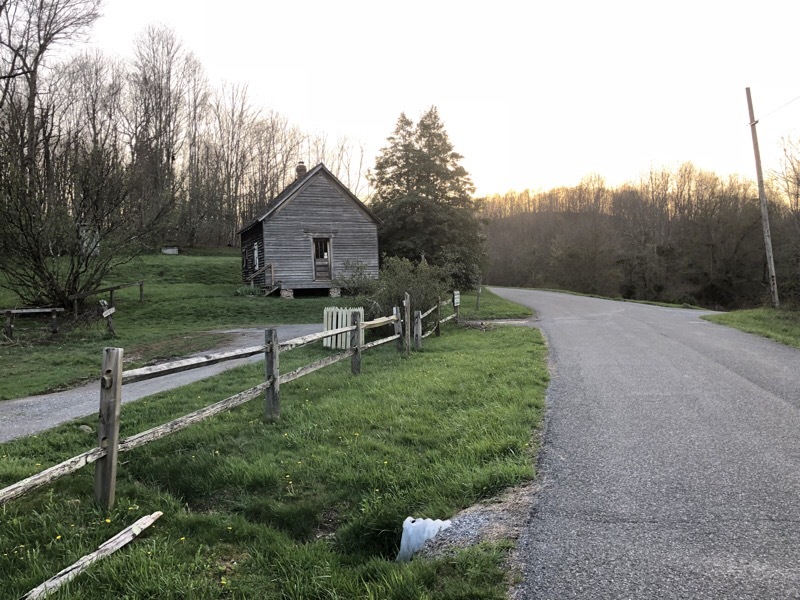 From this trailhead at Wesleyan, we followed a paved pathway across the creek to Adventure Central, a community youth center introducing neighborhood children and youth to afterschool programs, summer day camps, and an annual overnight camp experience. We did not check to see if the center was open but we found the loop trail behind it. It was a very short trail and we were done before we knew it. 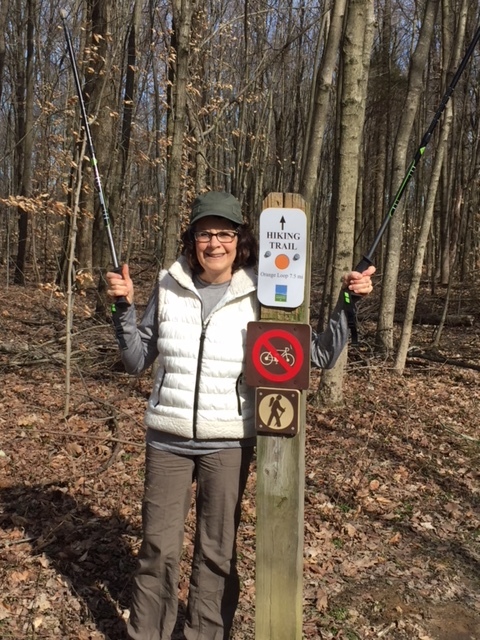 When Rocky and I got back to the car, it was still mid-morning, so we decided to travel out to Germantown MetroPark and begin hiking our last MetroPark in our challenge. 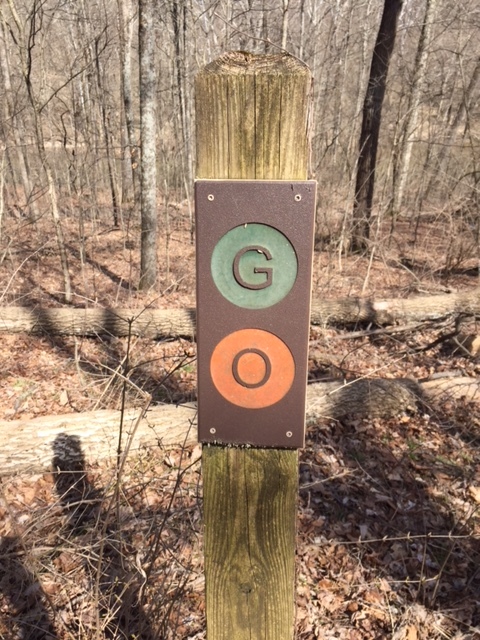 We knew that we would need multiple days at Germantown because it is a trial with some excellent hills and includes about 17 miles of trail. Quickly looking at the map, we thought that if we could knock out the Pink Loop (2.6 miles) and then drive to the Silver Loop (1.6 miles) that would only leave 12.8 miles – very manageable in two more days. We made our way to the parking lot off Conservancy Road and quickly picked up the Pink Trail. We hiked the trail in the counterclockwise direction and walked past Sunfish Pond, then down the hill where the trail gives you a quick view of Twin Creek. The trail can be very muddy in this area, but it was passable today with just a little slip and slide and mud caked to the bottom of our shoes. The terrain was quick a contrast to our morning, but we loved it. Germantown is our favorite MetroPark. After making the circuit, we drove across the dam to another parking lot and completed the Silver Loop. It shares over half of its mileage with the Orange Trail and contains some thigh-screaming inclines. I am amazed at how well Rocky climbs the hills – even at the end of several hours of hiking. 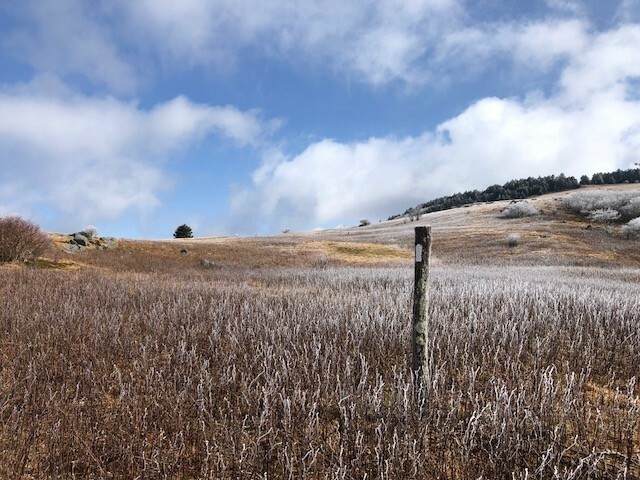 The second part of the Silver Trail is easier as it crosses a nice meadow complete with a bird blind. We were tired by the time we reached our car, but well pleased with the day’s adventure. We enjoyed the songs of the birds and the percussion concert performed by the woodpeckers. 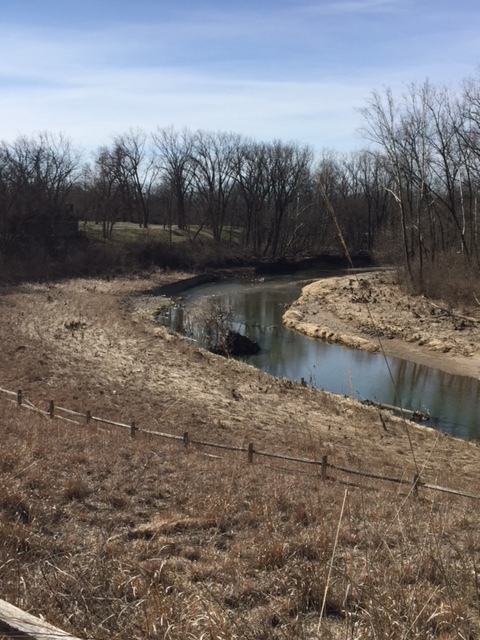 We are looking forward to returning to Germantown and finishing our Every Trail MetroPark Challenge.